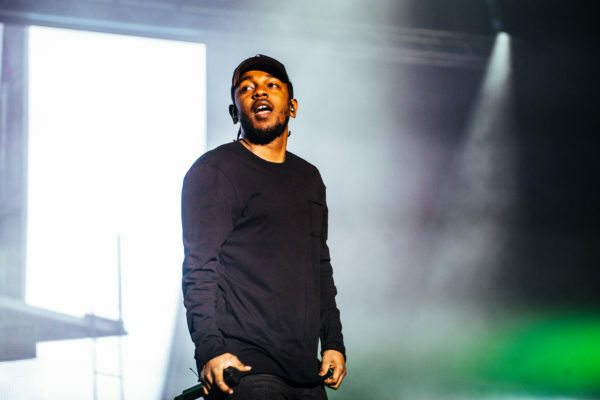 Do we take Kendrick Lamar for granted? If so, Exhibit A might be the offhand way in which so many fans convinced themselves that the Compton emcee had another album in his pocket after releasing his latest full-length effort, “DAMN.,” earlier this month. The Twitter-born conspiracies were convincing in a harebrained way, requiring the mental gymnastics of tying hidden anagrams to color schemes to the resurrection of Christ (“DAMN.,” released on Good Friday, begins with a reference to Lamar’s death, so logically, Easter Sunday must herald his return.) It seems appropriate of the god-level emcee that, in the absence of real evidence, his fans clung to poetic logic more than anything else. But Easter came and went, and Lamar’s metaphorical death, signaled by a single gunshot on the album’s opening track, “BLOOD.,” went unanswered. The back-and-forth nature of the album leaves less room for narrative, previously a staple of Lamar’s canon. “good kid, m.A.A.d city” and “To Pimp a Butterfly,” while far from one-dimensional, at least offered a linear progression, a steady hand to guide us through the ice cold beat switches and fiery flows that shaped the sound of each project. In contrast to the precision of these last two works, “DAMN.” feels like a scattershot. It contains jabs at Fox News, cryptic references to the Hebrew Israelite movement and self-reflective meditations on fame and ego. Yet Lamar’s unrelenting lyricism and ability to elevate conflicting themes into engaging, focused art ensures that, while loaded with ideas that may take on different trajectories, the album still hits the mark, as if fired point-blank. Lamar’s decision to pare down the album’s soundscape seems deliberate. Terrace Martin, Lamar’s go-to jazz head and the orchestrator behind his most ambitious productions, lends a leading hand to only one song, the Rihanna-featuring “LOYALTY.” The beat is surprisingly straightforward, built around a reversed sample and some drums. It’s engaging, but a far cry from the epic scale of “Mortal Man” or even “Alright.” Whereas “Butterfly” weaved in and out of the hip-hop tradition in an effort to expand it, “DAMN.” hews closer to form, and the result is a fearsome reminder that Lamar’s got the game on lock, with or without any jazzy ornamentation. To quote Oliver Wang from NPR, “‘DAMN.’ is built out of bars,” and through these bars, Lamar reminds us why he’s not only the best artist in the game, but the best rapper, too. He’s not exactly shy about it, either. “HUMBLE.” is anything but, and on “ELEMENT.” he raps: “Mr. One through Five, that’s the only logic/Fake my death, go to Cuba, that’s the only option.” Beyond swaggering lines like these (which are balanced in equal part by trademark self-doubt), Lamar whips out breathless, heated flows that only the best in the game could dream to match. Over a meditative beat on “FEEL.,” he runs laps around a single refrain (“I feel like … ”), each line bouncing off the other with a propulsive energy until he finally explodes into a fit of concentrated rage. After a thundering Mike WiLL Made-It beat switch on the standout banger “DNA.,” Lamar spits rhyme after rhyme like an AK until the track spins out into the ether. On a few tracks, Lamar seems to step down from his exalted pedestal to compete with his peers at their own level. This works for the most part (check the subliminal broadsides at Drake and Big Sean on the impossibly catchy “ELEMENT.”), but it stutters on obviously radio-made tracks like “LOVE.” and “GOD.,” where his ventures into the mainstream feel a bit phoned in. The danger of treading into territory dominated by sing-song rappers and trap artists is that, for once, Lamar stands to be outshone. Bar for bar, it’s hard to find anyone better, but it’s also hard to say that Drake couldn’t have handled Lamar’s verse on “LOVE.” with a bit more finesse. The last lyric is cut off by the gunshot, and DJ Kid Capri’s exuberant declaration from the start of the track — “We gon’ put it in reverse!” — is fulfilled: The entire album is flipped and sped through in seconds, placing us right back where we started on “BLOOD.” It’s a disturbing reminder that all of the joy, pain and sin packed between these tracks is conditional on the mortal moments that have shaped Lamar’s life in ways both seen and unseen. There exists many a universe where Top Dawg and Kenny Duckworth don’t sidestep tragedy, where the whole story Lamar has been telling the world since “good kid” doesn’t exist, or worse, where all of it is thrown away in eye-for-an-eye bloodshed. It’s a reminder that beneath it all, Lamar’s art is defined by his own fragility, and that yes, we do take it all for granted. So, to all the sinners who peeked their phones during Easter Mass to look for that second album: sit down, be humble. “DAMN.” is a blessing. We’re lucky to bear witness.